WHEN the Palestinians were running away from their homes for immediate comfort and safety in 1947-48, little did they know that they would never return to the places they once called homes. There is no way to exaggerate the role of 1948 in the history of Middle East. The six-day war gave Israel most of Jerusalem and West Bank settlements but it is one thing to win the war and it is another thing to consolidate the gains of the war and translate them into what Israel desperately want which is peace. Most of the chaotic happenings in the Middle East ever since have been part of unintended consequences of that war. Recent Kano bombing reminded us of the law of unintended consequences of the amnesty granted to the militants of Niger Delta. It was, indeed, an unintelligent and inhumane response to President Goodluck Jonathan’s refusal to grant amnesty to vicious and unconscionable Boko Haram. I will not only be surprised but shocked if the issue of another renegade group wanting amnesty was not discussed during the deliberations for granting amnesty to the militants under the late President Umaru Yar’Adua. If it was deliberated, what was the measure of action decided as a response if and when it arose as it is the case now? If this possibility was never raised at the meeting, it speaks volumes not only on the quality of leadership we had but the level of paucity of in-depth knowledge of our policy makers in our idiosyncrasies. Nigeria, over the decades after the independence, has turned out to be a country of people going through identity crises. Awareness and deep seated ethnic consciousness has overtaken national identity, patriotism and a formidable unity which has slowed the pace of our national development. There is no country on earth where the adage “what is good for the geese is good for the gander” is applied better than in Nigeria. Everything must be duplicated in and shared out to at least six and sometimes 36 to placate the component ethnic units. In view of this, the Federal Government should not have granted amnesty to the Niger Delta militants in the first place, knowing fully well that there are other groups whose activities may deteriorate to the extent of clamouring for another amnesty as it is happening now. Nigeria’s mono-economy dependent on oil producing was almost nose-diving into economic crises when the activities of militants of Niger Delta were at the peak leading to government’s desperate measures to restoring full capacity in oil production, hence amnesty as an escape route. It is understandable that at the time amnesty was granted to militants, Nigeria was in a dire need of a miraculous solution to the obstacle of her economic wellbeing. The solution brought a temporal succor to the nation but came with it, long time consequences that are largely unintended and still lingering to the present day. The consequences are here and I hope the Federal Government will not fall into the same mistake again especially as they are aware MASSOB, OPC, etc are all watching and waiting in the wings. 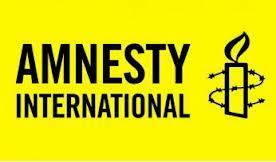 Personally, I don’t support amnesty as a solution in the first place, not to the militants and not to Boko Haram and definitely not to any other arms-carrying group no matter under what precarious situation Nigeria may be. Every government should have a standing rule which never bends no matter the circumstance or who may be affected especially as it affects security of life and property of the people which is the primary duty of every responsible government. When a government moves away from law and its application it is courting grave dangers for the state. The act of taking arms against the state is a serious act of treason which should be viewed as such. However, some hold the view that groups like Niger Delta militants are a creation of injustice and unequalled allocation of the resources of the state. If that is admitted as a justifiable and undeniable truth, then what is the place of educated unemployed graduates who refused to take arms against the state? The truth is there are many Nigerian unemployed graduates both in Niger Delta and Boko Haram ridden areas who are still law abiding even in the face of their difficulties yet nobody is thinking about them. If the Federal Government keeps granting amnesty and paying handsomely to groups of violent Nigerians, the message to good citizens will be clear, get arms and get what you want. This is the time government at both the federal and state levels should work assiduously towards improving not only infrastructure but human capital development. The system of using momentary solutions laced with dangerous unintended consequences should be discarded and seen as an archaic way of dealing with systemic problems. There are countries of the world that stand on the principle of never negotiating with renegade groups or terrorists. They would rather solve the problem through other options because in every situation or problem, there are many options to getting at solutions. Once this principle is established, the masquerades of violence for economic gain will give way for the government to have a clear view of its enemies within who are not asking for pardon and pay-off but are out to fight until they are defeated because they must always be defeated. President Jonathan responded well to Borno elders asking for amnesty on behalf of Boko Haram whom the president referred to as ghosts. But surprisingly, he has succumbed to the blackmail and pressure of those who ought to be seen tackling the serious security problem first. They know their boys, they know their terrain. Why are they leaders if they cannot rein in their boys in line with their culture, law and tradition? Instead of rolling up their sleeves, they have left everything to Jonathan. The Federal Government as at present led by Jonathan should save Nigeria a lot of future pain and chaos by not extending amnesty to any other militant or terrorist groups. The door for amnesty as a solution should be shut permanently and expunged from policy of the Federal Republic of Nigeria. • Onochie wrote from Port Harcourt. #30PercentOrNothing : A Howl By Hungry Wolves?